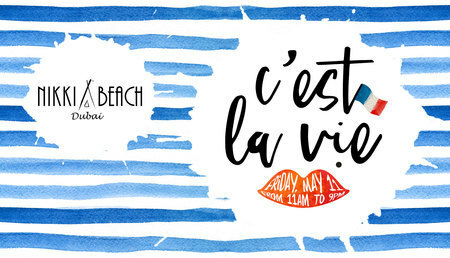 Catch the spirit of France as we celebrate our sister locations in Saint Tropez and Monte Carlo with our ode to our favorite French things -- love, food, drinks and music. · Guests intoxicated or under the influence of drugs will not be allowed to enter. · Management reserves the right to refuse the entry at their own discretion. · Mixed groups and couples are strongly preferred, and guests intoxicated or under the influence of drugs will not be allowed to enter. Management refuses the right of entry at their own discretion. · Prices, themes and promotions are subject to change without prior notice and no beach or VIP reservation is guaranteed until the full payment has been received. · If requested, original identification needs to be presented to the management/security. · As Nikki Beach is a family-owned and operated business guests of all ages are welcome! We kindly ask that children are closely attended to by an adult, and please note that for their safety guests under the age of 21 are not permitted in the swimming pool area, but are more than welcome in our restaurant and beach areas.